Avalanche barriers. 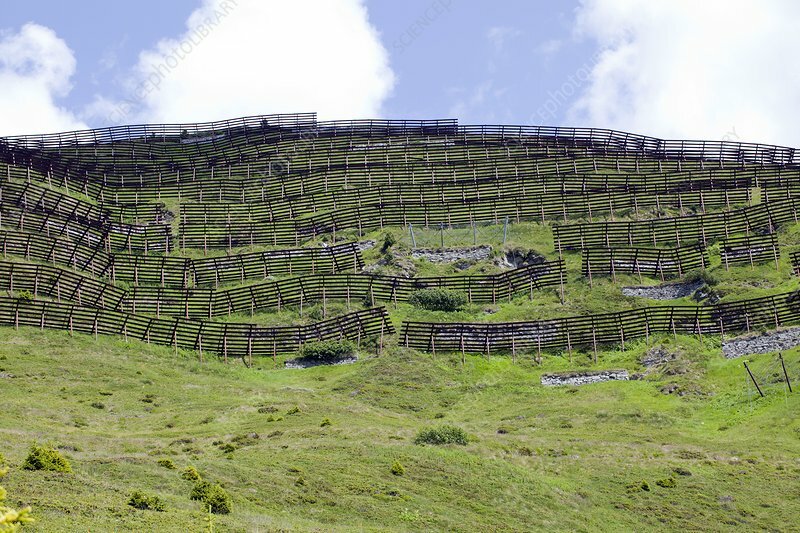 Permanent fencing on a mountainside, designed to support snow and prevent it from slipping and forming an avalanche. Photographed above the ski resort of Verbier in the Swiss Alps.